U. S. officials admit they are not planning on shutting down the government’s warrantless spying program, even if it is not reauthorized by 2018. As the United States Congress runs out of time to vote on a bill that would reauthorize one of the government’s most egregious warrantless spying programs, officials are claiming that those programs won’t end anytime soon – even if they are not reauthorized by the end of the year. The USA Liberty Act will reauthorize Section 702 of the Foreign Intelligence Surveillance Act (FISA), which is set to expire on Dec. 31, 2017. While the bill’s proponents have claimed it will help ensure ‘security’ in the United States, privacy advocates have warned that will provide additional loopholes for the government to continue conducting warrantless surveillance of innocent Americans. The assumption may be that if the USA Liberty Act is not signed into law, then the provisions from Section 702 will no longer be legal and the U. S. government will stop collecting data from innocent Americans without warrants – but intelligence officials do not see it that way. This post was published at The Daily Sheeple on DECEMBER 8, 2017. This post was published at Zero Hedge on Dec 6, 2017. Catalonia’s recent declaration of independence may have been a largely symbolic act but the economic hangover it has left in its wake is very real. Last month the number of unemployed in the region rose by 7,391 – the highest rise in a month of November since 2009. During the same period the number of people registered with social security fell by 4,038 – the sharpest fall since November 2013. The economic pain is already taking a psychological toll. According to a new poll published by Spain’s Center for Sociological Research (CIS for its Spanish acronym), the number of households that fear that their economic situation will worsen in the next six months surged from 14.2% in August to 22.2% in October. By contrast, in Spain as a whole there was hardly any change, with the rate barely budging from 15.1% to 15.6%. Almost 3,000 firms have shifted the registered address of their headquarters outside Catalonia since the banned referendum on October 1, many to Madrid. Although the exodus has slowed in recent weeks, every day dozens of Catalan companies continue to change their registered office, despite the express appeal of Spain’s Prime Minister, Mariano Rajoy, to stop doing so after the activation of Article 155 of the Constitution. The Catalan exodus has so far been purely administrative, with companies effectively shifting domiciles, the ‘brass plate’ of the business, to avoid legal and tax complications rather than moving staff or operations, which would have huge cost and logistical implications. This post was published at Wolf Street on Dec 6, 2017. 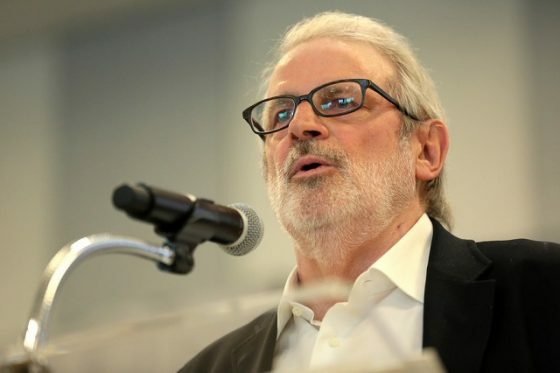 David Stockman, former Michigan representative and Director of the Office of Management and Budget under President Reagan, destroyed the Russian collusion hoax with incredible clarity in his latest column on Tuesday. If you were a Martian visitor just disembarked from of one of Elon Musk’s rocket ships and were therefore uninfected by earth-based fake news, the culprits in Washington’s witch-hunt de jure would be damn obvious. They include John Brennan, Jim Comey, Sally Yates, Peter Strzok and a passel of deep state operatives – all of whom baldly abused their offices. After Brennan had concocted the whole Russian election meddling meme to sully the Donald’s shocking election win, the latter three holdovers – functioning as a political fifth column in the new Administration – set a perjury trap designed to snare Mike Flynn as a first step in relitigating and reversing the voters’ verdict. After all, anyone fresh off Elon’s rocket ship would learn upon even cursory investigation of the matter that the National Security Agency (NSA) intercepts electronically every single communication of the Russian Ambassador with any person on US soil – whether by email, text or phone call. This post was published at The Daily Sheeple on DECEMBER 6, 2017. There are two divergent views on the crackdown on corruption by Saudi Arabia’s crown prince, Mohammed bin Salman (MBS), which led to the arrest and detention of 200 princes, ministers and former ministers. On one hand, it was a masterstroke which will earn political capital with the Saudi people and catalyse an Arab Spring in which MBS is a modernizing reformer who will liberalise Islam. On the other, it was nothing other than a cynical and desperate attempt to tighten his grip on power and weaken competing clans within the ruling family (especially sons of former King Abdullah) as the nation risks splitting apart due to political and economic fissures. Last week, we noted that former head of the National Guard and senior member of the Abdullah clan, Prince Miteb bin Abdullah, purchased his freedom for a cool $1 billion. If you put yourself in the position of being a Saudi prince or wealthy Saudi official, whatever your opinion of MBS’s motivation, you would be forgiven for taking additional measures to make it harder for his henchmen to seize your wealth if you found yourself in the crosshairs. Around mid-November, Human Rights Watch (HRW) issued a shocking report detailing China’s gay conversion problem. Powerful first-hand accounts expose how state-owned hospitals are using electric shock machines and medication to convert gays back to some form of ‘normalcy‘. The practice is an open secret in China, where a majority of gays are forced by their families into hospitals, because the culture labels it as a curable-disease. Even the World Psychiatric Association has come out denouncing the practice as ‘unethical, unscientific and harmful’. This was the context of Kushner’s instruction to Flynn last December. One transition official at the time said Kushner called Flynn to tell him he needed to get every foreign minister or ambassador from a country on the U. N. Security Council to delay or vote against the resolution. Much of this appeared to be coordinated also with Israeli prime minister Benjamin Netanyahu, whose envoys shared their own intelligence about the Obama administration’s lobbying efforts to get member stats to support the resolution with the Trump transition team. As OPEC is set to celebrate the extension of the cartel’s oil production cut for another year in Vienna, Venezuela former-oil minister and the former head of the now defaulted state energy company PDVSA have no reasons to celebrate following their overnight arrests in Venezuela. Taking a page out of the Saudi “anti-corruption” playbook, Reuters reports citing two sources that Venezuelan authorities detained former Oil Minister Eulogio del Pino and former state oil company PDVSA president Nelson Martinez overnight as a part of a broad anti-corruption probe. One of Germany’s largest companies is trying to buy Monsanto, which changes everything. A majority of EU governments voted on Monday to extend the European license for glyphosate, the active ingredient in Monsanto’s flagship product, Roundup, for another five years. One of the deciding votes was cast by the caretaker government of Germany, which came off the fence after abstaining in previous meetings. The decision was made despite a petition signed by more than 1.3 million EU citizen-subjects calling for a European ban on the weedkiller. The five-year extension is welcome news for Monsanto, which has found itself in the rather unusual position of being on the back foot in recent years, especially since the UN’s World Health Organization (WHO) declared that glyphosate is ‘probably carcinogenic’. The company is facing a rash of potentially costly law suits in the US from farmers, members of their families, and others who claim that Roundup is connected to non-Hodgkin’s lymphoma. This post was published at Wolf Street by Don Quijones ‘ Nov 28, 2017. As Saudi Arabia spins from crisis to crisis, U. S. oil hasn’t missed a beat. It’s stronger and more resilient than ever – and it has nothing to do with OPEC oil production cuts. In this war, U. S. oil wins, and the recent purge of billionaire princes in Saudi Arabia is icing on the cake. But when Saudi Crown Prince Mohammad bin Salman arrested key members of the royal family on corruption charges two weeks ago all of them his rivals – oil shot up. 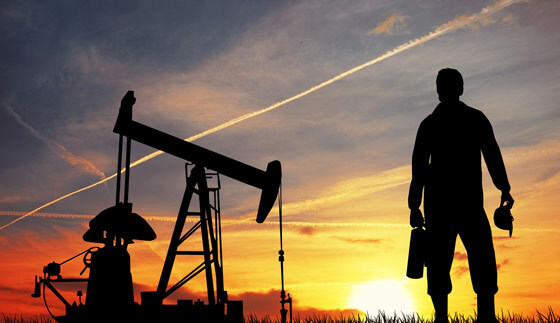 West Texas Intermediate (WTI) spiked more than $2 a barrel, closing around $57 a barrel – a nearly two-year high. OPEC cuts have done little to boost oil prices, and Royal Family arrests are welcome news for oil tycoons the world over, but it’s still not what’s kept the U. S. on the winning side in this war: Fracking bust the U. S. through the front line, and major advancements in enhanced oil recovery (EOR) are cementing the victory. This post was published at The Daily Sheeple on NOVEMBER 27, 2017. RT & Michael Flynn: Is That The Case Mueller Is Going To Make? With every other attempt to put together a convincing Russiagate case having failed – the indictments against Manafort, Gates and Papadopoulos make no allusion to the collusion allegations at the heart of it, and the FBI has now admitted to Congressional investigators that it cannot verify the Trump Dossier, the document which appears to have triggered the whole inquiry – it seems that the pressure is now increasingly on Michael Flynn. Shortly after the indictments against Manafort, Gates and Papadopoulos I speculated that an indictment against Flynn might be pending. News that his lawyers have broken contact with the President’s lawyers hardens that suspicion. There are also rumours that Special Counsel Mueller may also be considering an indictment against his son. The trouble is that nothing that is known about General Flynn’s activities during the 2016 election campaign give any reason to think that he was involved in any sort of illegal collusion with the Russians. The only case that can convincingly be made against him is that he failed to register under FARA in connection with paid lobbying work he did for a foreign government. However the government in question is Turkey not Russia. I wonder whether this may explain the otherwise highly oppressive and legally dubious decision to force RT to register under FARA as a foreign agent? Flynn did appear on RT on a number of occasions, and did attend an RT dinner where he was famously photographed sitting at the same table as President Putin. Crown Prince Mohammed bin Salman must be worried that some of the royals rounded up during his ‘corruption crackdown’ cash grab are holding out on him. Because the Saudi prince has reportedly hired a crew of American mercenaries who haven’t hesitated to employ an array of ‘enhanced interrogation’ techniques. As the Daily Mail reports, mercenaries purportedly employed by Academi, a successor to infamous US security contractor Blackwater, have been stringing up some of MBS’s ‘guests’ at the Riyadh Ritz Carlton by their feet and savagely beating them during interrogations. The claims have spread rapidly on Arabic-language social media, and even Lebanon’s president Michel Aoun has accused MbS of using mercenaries. Still, the Daily Mail isn’t the most reputable news organization, so these reports should be taken with a grain of salt. The firm’s successor, Academi, strongly denies even being in Saudi Arabia and says it does not engage in torture, which it is illegal for any U. S. citizen to commit anywhere in the world.